Would you like to join the knights? Worried you won’t fit in? Don’t Be! 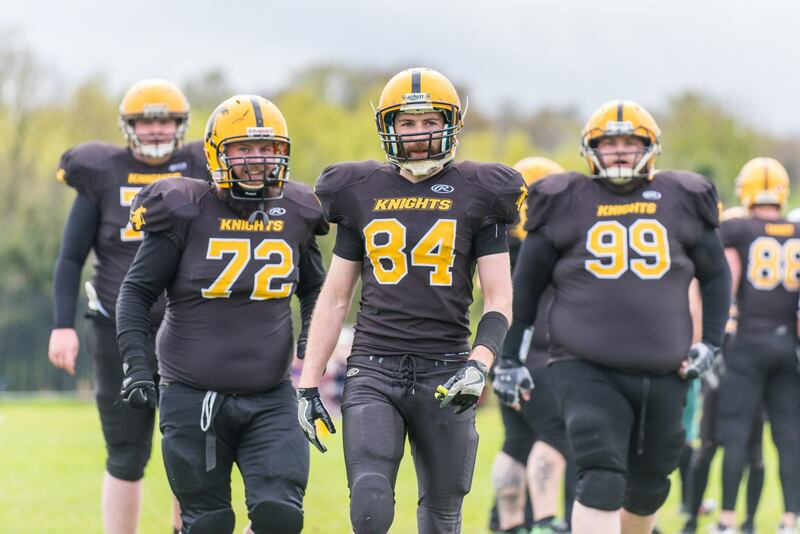 The Knights are an extremely friendly sports team where there’s a position for everyone, no matter your size, knowledge of the sport or fitness level. If your interested, You can use the form below to send us any questions you have, Contact us at our Facebook page, join our Rookie Group,or simply show up at any of our Training Sessions. Below are a few points about Training. We train at our home field at Cooke Rugby Club, Belfast. The preseason begins in January, and training runs every Sundays except for during the season when there matches. Training times: Sunday from 10.00am to 1.00pm. During the season and in the lead up to the first game there are usually half-kitted practises on a Thursday evening as well. The team’s gym activity is pretty much up to the individual, but a lot of the guys would train together. There will be team pads and helmets available to borrow to get you started, you don’t have to jump straight into buying expensive gear! No football experience required, but it will help if you are a fan of American Football or at least know the rules before your first session. Full contact, senior football is 18 years and up only. 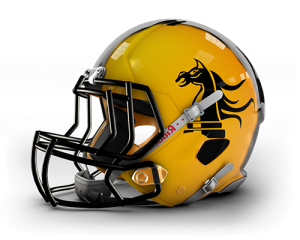 Under 18’s currently cannot play full contact American Football in Ireland.